In late March of 1984, a moving company secretly packed up the Baltimore Colts' belongings and its fleet of vans sneaked off in the darkness of the early morning. Leaving a city of deeply devoted fans in shock and disbelief. What caused owner Robert Irsay to turn his back on a town that was as closely linked to its team as any in the NFL? Academy Award-winning filmmaker Barry Levinson, himself a long-standing Baltimore Colts fanatic, will probe that question in light of the changing relationship of sports to community. Through the eyes of members of the Colts Marching Band, Levinson will illustrate how a fan base copes with losing the team that it loves. When I was growing up in Baltimore, the Colts were not just a team that played in the city. It was part of the city. Football players didn't make close to the money they make today and most took jobs in the off-season. Some were mechanics, others worked at furniture stores, and you could find them drinking at a neighborhood watering hole. When Johnny Unitas came to Baltimore from a semi-pro team, he was a perfect fit for the city: a working-class guy, in a working-class town. And when he rose to legendary status, all of us were proud. The Baltimore Colts weren't just a football team to us. They were our team. Then on one snowy, early spring morning, Robert Irsay shipped the Colts to Indianapolis in Mayflower moving vans, and the team was gone. When I came across the story of the Baltimore Colts Marching Band, and how it continued to march despite the loss of its team, I found something uniquely Baltimorian about it. Here was a band that played on without a team, marching at civic events, Thanksgiving Day parades, and half-time shows for other NFL teams, keeping football alive in Baltimore. None of them were paid, yet the band held a membership of 150 strong for the 12 years Baltimore didn't have an NFL team. They didn't stop until 1996 when Baltimore got the Cleveland team and renamed them the Ravens, after the Edgar Allan Poe poem. Poe didn't grow up in Baltimore, but according to folk lore, he died drunk in a gutter there. Baltimore will take its heroes any way it can get them. With the 1990s and the Ravens came the rejuvenation of the city, which continues to grow today. While I can't say the Ravens hold quite the same place in my heart, the band is perhaps the only bridge from one era to another, connecting us to our former team, and the pride and dedication we have for our city. 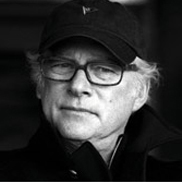 Academy Award-winning director, screenwriter and producer Barry Levinson has crafted an enviable reputation as a filmmaker who blends literate and intelligent visions into films. He was awarded the 1988 Best Director Oscar for the multiple Academy Award-winning "Rain Man," starring Dustin Hoffman and Tom Cruise. In 1991 "Bugsy," directed and produced by Levinson, was nominated for ten Academy Awards including Best Picture and Best Director. As a screenwriter, Levinson has received three Oscar nominations for "And Justice for All" (1979), "Diner" (1982) and "Avalon" (1990). Other iconic films include "The Natural" (1982), "Good Morning Vietnam" (1987), "Sleepers" (1996) and "Wag the Dog" (1997). Born and raised in Baltimore, Levinson has used his hometown as the setting for four widely praised features: "Diner," "Tin Men," "Avalon" and "Liberty Heights." Levinson returned to Baltimore to film the television series "Homicide: Life on the Street." His work on this critically acclaimed NBC drama earned him an Emmy for Best Individual Director of a Drama Series. The series received three Peabody Awards, two Writers Guild Awards and an Excellence in Quality Television Founders Award for the 1994 and 1995 seasons.